"We are not called by God to do extraordinary things but to do ordinary things with extraordinary love"
Jean Vanier, humanist, philosopher, theologian and author has been awarded the 2015 Templeton Prize for his discovery of the .." central role of vulnerable people as a source of dialogue, of healing, of unity and of peace for our societies and our religions". Jean Vanier is the founder of L’Arche and co-founder of Faith and Light . Both communities are found around the world including NZ, and are based on friendship, mutual sharing and support for people with intellectual disabilities and their families and friends. Winning the award is no mean feat and Vanier now joins a line of illustrious recipients that include Mother Teresa and Desmond Tutu. Social development Minister Anne Tolley has announced the establishment of an independent panel " to lead a complete overhaul of Child Youth and Family (CYF)" and we are not talking a casual re-shuffling of chairs . The language in the press release indicates a serious review of how CYF works and aligns with government's focus on vulnerable children/families and the implementation of the Vulnerable Children's Act and Whanau Ora. Modernizing Child Youth and Family is the new buzz word and the new panel has been charged with producing the Modernising CYF Business case to take to Minister Tolley by July 2015. A seemingly tight timeline. All will be revealed in Budget 2016 when we will see the outcome of the review in action. Meanwhile check out page 8 of the Cabinet paper for a useful diagram of the before and after governance arrangements for the Modernising CYF programme. The Advisory Group, which includes NGO providers, seems to have been mislaid! … This seems to be a trend where NGO advice and expertise are not invited. Emergency Housing Consultation due 1st May. Homelessness is the sharp end of housing inequality in this country. Church social services are among those at the front line of emergency housing. The government is reviewing how it should approach emergency housing - give them your views (due by 1st May). They are seeking information from organisations providing emergency housing but also want the views of people needing emergency housing and those who work with & support them. Last week the Methodist Mission Aotearoa announced that they would not be participating in transfers of Housing NZ Corporation houses. They said that with 5000 people currently waiting to be housed, they "believe the emphasis should be on growing the number of houses available, rather than focusing on a change of ownership" and that "the government should play a key role in providing quality, affordable public housing." This follows on from a similar statement from the Salvation Army earlier in March. These announcements come in the midst of great uncertainty about the impact of the changes the Government is making to social housing. Read our feature article about this in the most recent Kete Kupu. Creating age-friendly communities is one vital step for our future wellbeing and Alzheimers NZ has shared a great new resource from Alzheimers Disease International. They have released a new Dementia Friendly Communities Resource booklet. This booklet contains information on Dementia Friendly Communities projects from countries and regions across the world, highlighting six key areas of community planning. Download the booklet from the Alzheimers NZ website. NZCCSS will be hosting another Post-Budget Breakfast Briefing with Ministers Hon Bill English and Anne Tolley. Come along and hear from the horse's mouth Government's thinking behind Budget 2015 on Thursday 28th May 7.15ish to 8.45ish (more details to follow). Social Service Providers Aotearoa (SSPA) is holding workshops in five key centres on child poverty and the social services. Associate Professor Mike O'Brien will facilitate at each workshop along with a local practitioner. Mike is an academic and has written widely on social policy, child poverty and welfare and social work and social service issues. He also has a longstanding association with the Child Poverty Action Group, and is currently a convener of the NZ Council of Christian Social Services Impacts of Poverty and Exclusion Policy Group. Note: the venue and local co-facilitator to be announced. ...by encouraging "executives to take more risks than before by cutting costs and holding investment in innovation or productivity down, in order to bolster short-term profits and the company share price, to the serious detriment of the overall economy." The UK High Pay Centre report recently released looks at the perverse incentives. The latest Newsletter from the Children's Action Plan Team aims to keep you up to date on the government's drive to improve outcomes for vulnerable children. This edition features Social Development Minister Anne Tolley launch of two new guidelines Safer recruitment safer children and Safer organisations Safer children, examples of how children's teams are helping children and their families, and an update from Sue Mackwell, National Children's Director on Hamilton's Children's teams. New CPAG Report on The Impact of Poverty on Children with Disabilities. Any parent of a child with a disability knows first hand about the rewards, challenges, and costs associated with supporting a child with extra needs. The journey is hard enough for well supported, middle-income families but what if your income is insufficient to cover basic expenses let alone cover the extra needs of children with a disability? A new report from the Child Poverty Action Group It shouldn't be this hard : children, poverty and disability sheds light on the impact of poverty on children with disabilities living in low income households. The report finds the payment of the Child Disability Allowances fell from 11,000 in 2008 to 6,500 by 2013, despite an increase in the number of children with disabilities (up from 92,000 in 2001 to 95,000 in 2013). This is an insightful report that makes recommendations to improve services for children with disabilities, including a review of support payments for parents to ensure the needs of their disabled children are prioritised over the parents' job-seeking and work preparation. A report on Mothers in the New Zealand Workforce by Statistics New Zealand provides some insight into how mothers are faring in the workplace, and how this experience is shaped by their partnered/non-partnered status. Two articles by Simon Collins shine a spotlight on the impact of women returning to work at an ever quicker rate. Both articles are thought provoking and worth a read. 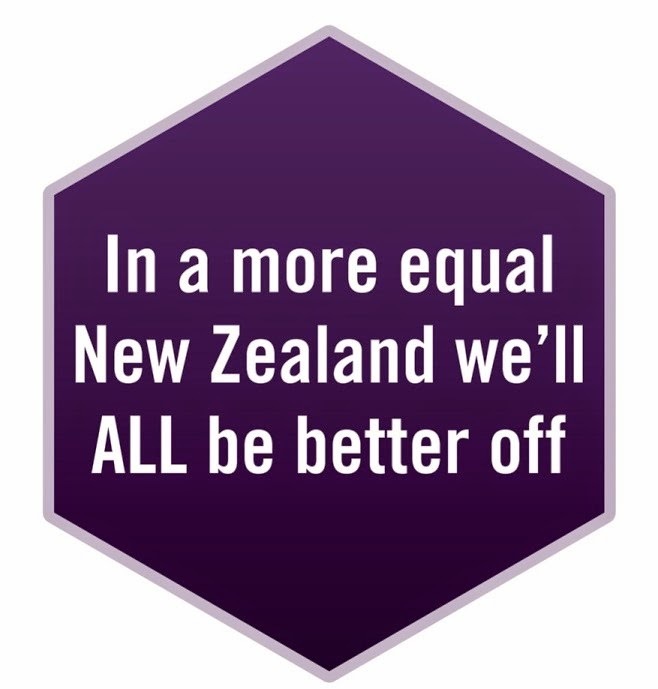 In the first one, Collins contrasts the recent extension to paid parental leave entitlements (up from 14 weeks to 16 weeks and 18 weeks by April 2016) with data from the Growing Up in New Zealand study. Mothers in the study indicated the median leave they wanted was 12 months, while the reality presented a different picture again - 37% of mothers returned within nine months and 71% saying they went back because they "needed the money" and not some intrinsic desire to return to work. It seems even the Children's Commissioner Dr Russell Wills has concerns. We should "provide financial support we can for parents to remain at home for as long as they can" The best person to bring up your children is you". While New Zealand may not be a nation of latch door key kids, the second of Colin's articles raises concerns from Dr Sarah Farquhar, former Chief Executive of the Early Childhood Council, that "For some babies childcare may be the best option, but there is a growing amount of worrying anecdotal evidence from early childhood teachers that they are seeing a loss of confidence in parenting, and in parents understanding their crucial role as their children's first teachers". Never before have so many of our kiwi children experienced so much time in childcare institutes without their parents; time will only tell what the impact will be on their development and their ability to parent their own children.